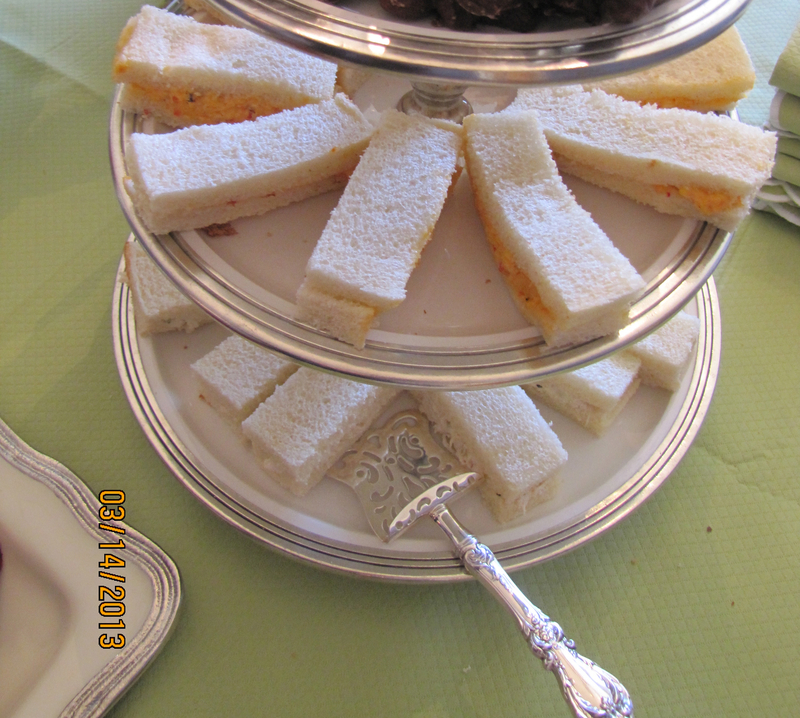 We set out light refreshments at my ladies’ study club meetings. Yesterday was my turn to host. 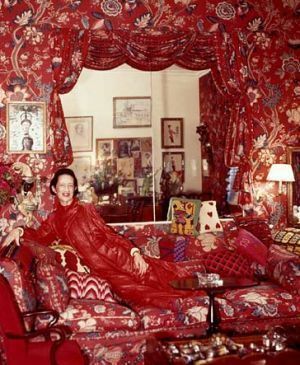 We learned about Diana Vreeland. It was also our topic last year, we just loved it so much we kept going! Babe Paley, Dorothy Draper, Gloria Vanderbilt, Marella Agnelli, Lee Radziwill to name a few. Someone said, Ellen, you should take pictures of the table. 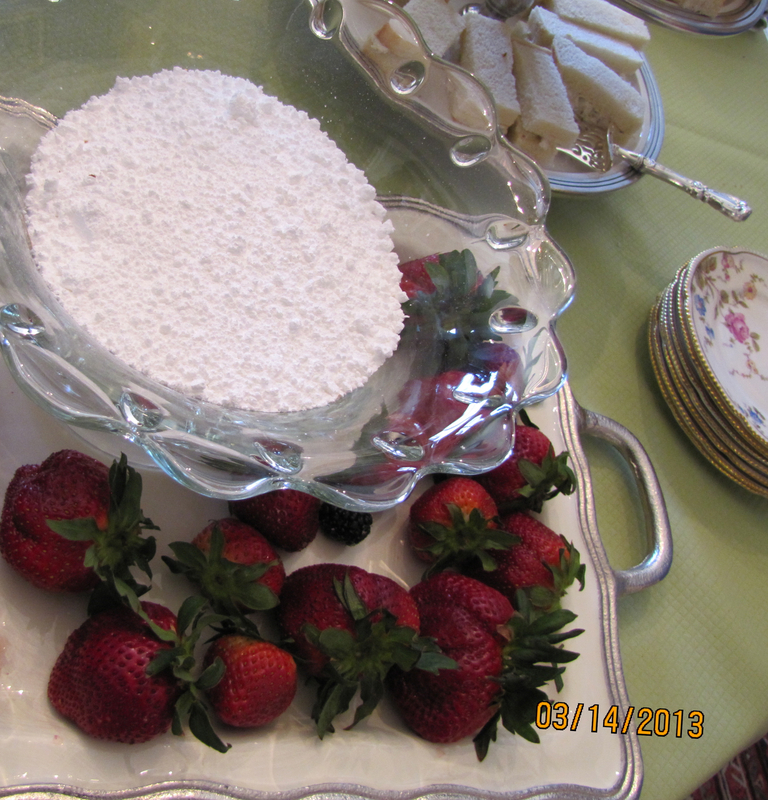 Mrs. Vreeland would have approved of the huge strawberries. She absolutely adored the color red. She “discovered” Lauren Bacall. Now, that was a discovery! 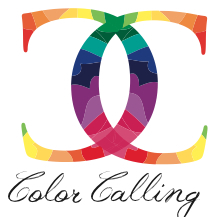 This entry was posted on March 15, 2013 by Ellen at Color Calling. 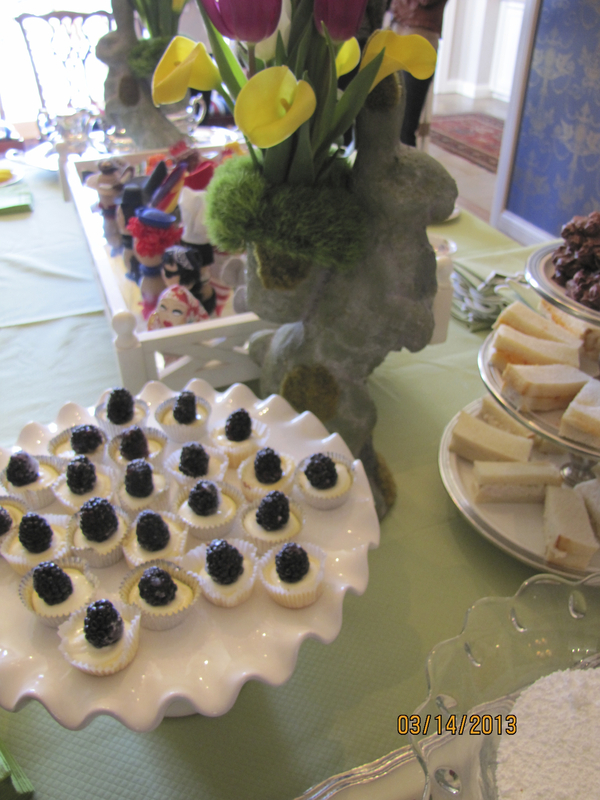 It was filed under Easter centerpiece, entertaining, entertaining ideas, Residential styling and was tagged with Diana Vreeland, tea table. Beautiful, Ellen, and your study group sounds great!